More than 100 people attended and paid tribute to the fallen heroes. 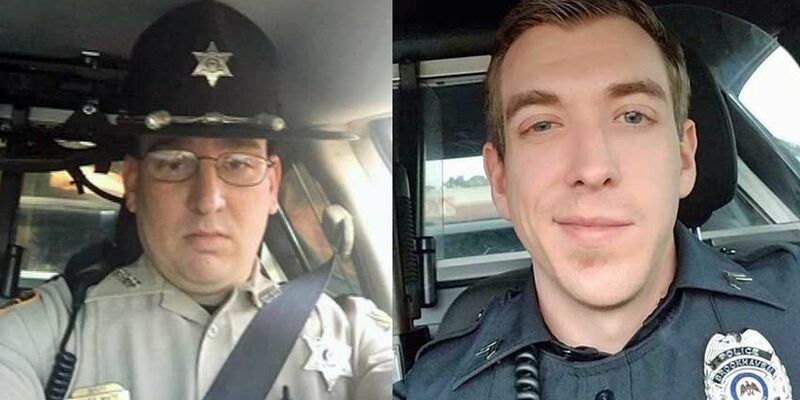 JACKSON, MS (WLBT) - Two fallen police officers are remembered Sunday night for their service to the community. A candlelight vigil was held outside the police station as first responders and members of the Brookhaven community came to mourn the loss of officers James White and Zach Moak. Early Saturday morning their lives were taken after responding to reports of shots fired on Hines St near 6th St. Brookhaven police, the ATF and the Mississippi Bureau of Investigation responded immediately. To honor these fellow officers, the Brookhaven Police Department held a candlelight memorial Sunday night. Since their tragic deaths, the outpouring of love and support from those that knew them and those that didn’t could be seen at the service.. While James White’s and Zach Moak’s family stood together side by side they demonstrated what the Brookhaven community is all about. “We as people, we have these connections and when someone passes we don’t need to face it alone. Grief is a terrible, terrible thing,” said Charles Morris, Jr., a friend of Officer White. More than 100 people attended and with their candles paid tribute to two fallen heroes. Since their tragic deaths the outpouring of love and support from those that knew them and those that didn’t could be seen Sunday night. “We wanted to come and pay our respects to the Brookhaven officers. I asked them earlier if we could attend,” said Quinn, So we came by to show our respects." Kelsey Gerald says he first knew Zack Moak in High School. They have been friends ever since. We’re told Moak was recently promoted to Corporal and White originally joined the force in 2015 and had recently return to the force to serve the community.